A Washington house designed by architect Ehrick Rossiter has been listed with Klemm Real Estate for $6.2 million. Rock Gate, named for the dramatic outcropping of glacially carved stone encircled by the driveway is an important piece of Washington’s history and a Connecticut Preservation Award winning example of Rossiter’s design legacy. The house is on the Washington Green, along a quiet dead-end road, is situated on 3.13 acres abutting a land trust. Built in 1885 as a Gilded Age “summer cottage” for General Lucious Barbour, a wealthy Hartford industrialist, art collector, and Connecticut State legislator, Rock Gate is considered Rossiter’s best domestic work in the Queen Anne style and his finest home design in the town of Washington, which boasts 15 Rossiter homes. For more information, contact Carol Klemm or Peter Klemm at 917-864-4940. A Washington house designed by architect Ehrick Rossiter has been listed with Klemm Real Estate for $6.2 million. Rock Gate, named for the dramatic outcropping of glacially carved stone encircled by the driveway, is an important piece of Washington’s history and a Connecticut Preservation Award winning example of Rossiter’s design legacy. The house is on the Washington Green, along a quiet dead-end road, is situated on 3.13 acres abutting a land trust. 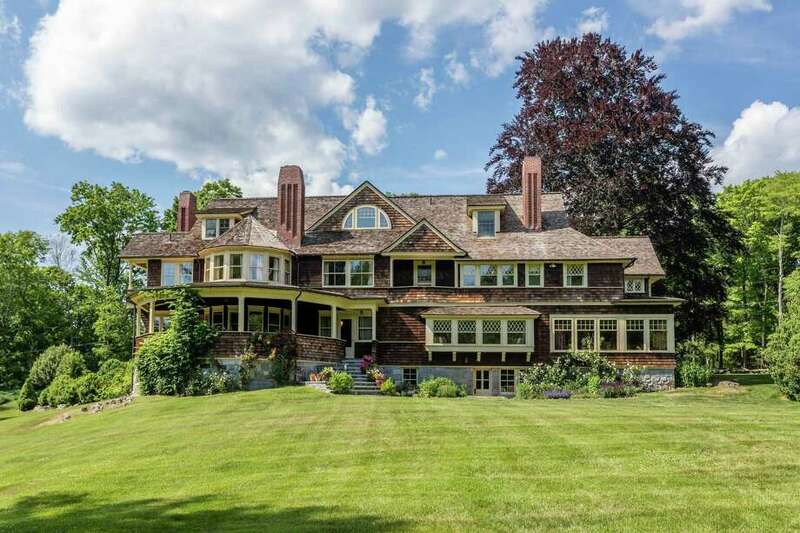 Built in 1885 as a Gilded Age “summer cottage” for General Lucious Barbour, a wealthy Hartford industrialist, art collector, and Connecticut State legislator, Rock Gate is considered Rossiter’s best domestic work in the Queen Anne style and his finest home design in the town of Washington, which boasts 15 Rossiter homes.